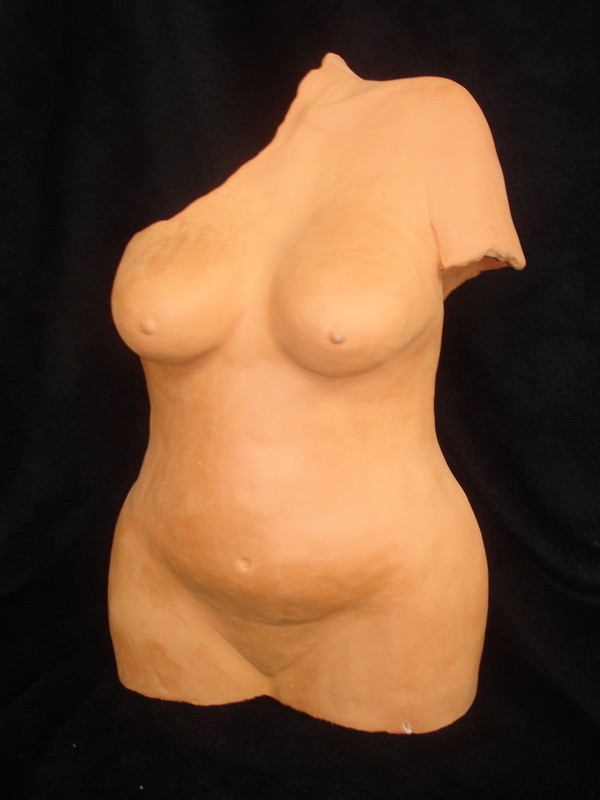 This earthenware female torso was hand built using coils. This was the first project that led to my interest in the 'unfinished' nature of work and the constant remodeling process that is part of both life and art. In the creative process accepting that something is 'Finished' is a difficult state of mind to achieve! 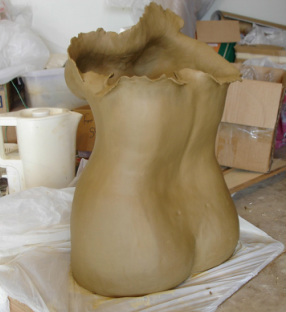 At the moment she remains unglazed.. she's very much a natural woman in a natural state.